An ideal Chair for your kids! Combined of Red, Yellow, Blue, and Green colors, which makes it attractive to your kids and easier for them to play or learn. Designed with fade-resistant, solid non-toxic PP plastic, that will not crack, chip or peel. With the capacity of 110 lbs of each chair, the strong legs are angled to reduce tipping which makes it extraordinarily stable and durable for a very long period of using. 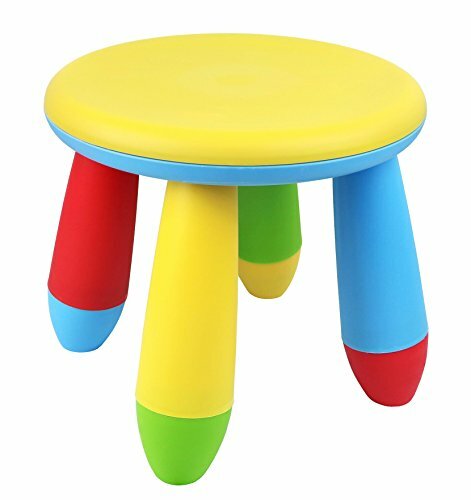 These chairs can be used for snacks, building, crafts and learning activities. Perfect for any room! If you have any questions about this product by Galashield, contact us by completing and submitting the form below. If you are looking for a specif part number, please include it with your message.